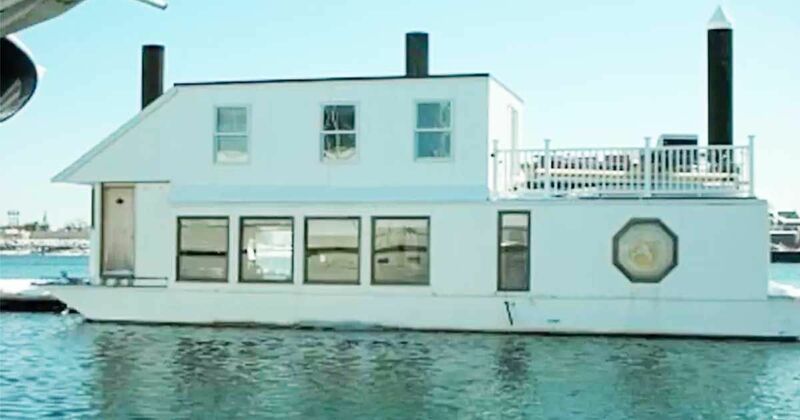 Located in historic downtown Boston, the White Elephant Floating Inn provides a fun and comfortable place to lodge while you visit the area. 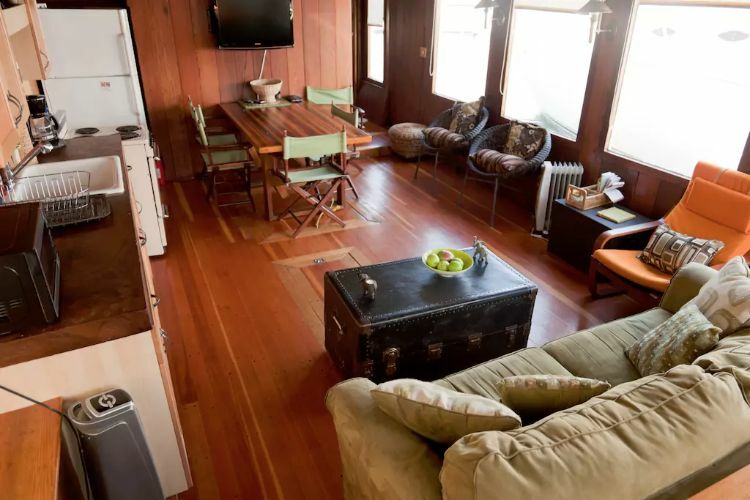 Tour the city and see the sights, and come home to a restful, tranquil, floating home that provides everything you desire, and is much more exciting than a traditional hotel! 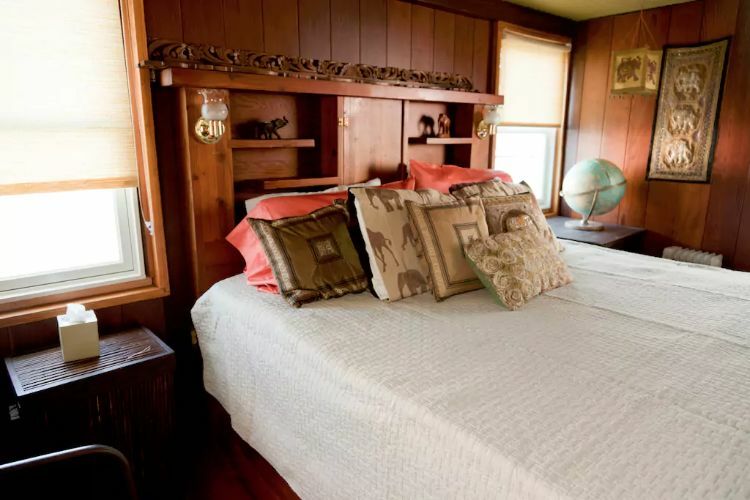 Equipped with three rooms and plenty of sleeping space, the Inn was built entirely by hand, and you can admire the craftsmanship of this wooden home with every step you take. 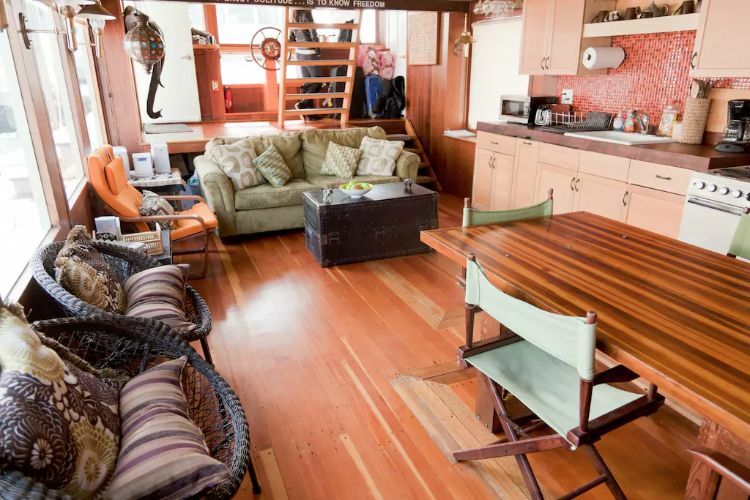 As you enter the houseboat, you'll notice a cozy, charming, and a bit rustic living area. The open floor plan offers easy access to the kitchen and dining room. 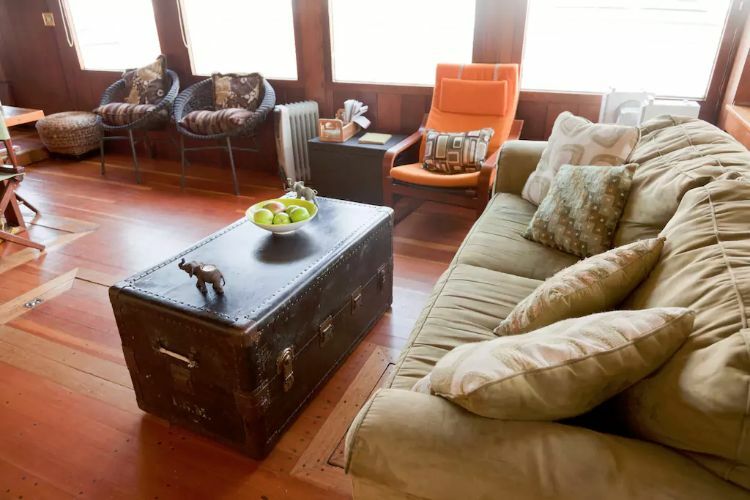 There are plenty of chairs and an overstuffed couch, as well as a cool trunk that doubles as a coffee table. You'll notice the wooden dining table that seats three people, and a wall-mounted television. This comfortable couch is actually a pullout bed, providing even more sleep space for guests! That orange chair really stands out! It's so appealing in this mostly neutral room. The custom wooden floors are absolutely gorgeous. Plenty of windows line the interior of the room and create a sun-filled space that you won't want to leave! Notice the wooden ladder that leads you up to the bedrooms. The cute, cozy kitchen offers a refrigerator, porcelain sink, microwave, stove, and just about everything you need to create delicious meals! 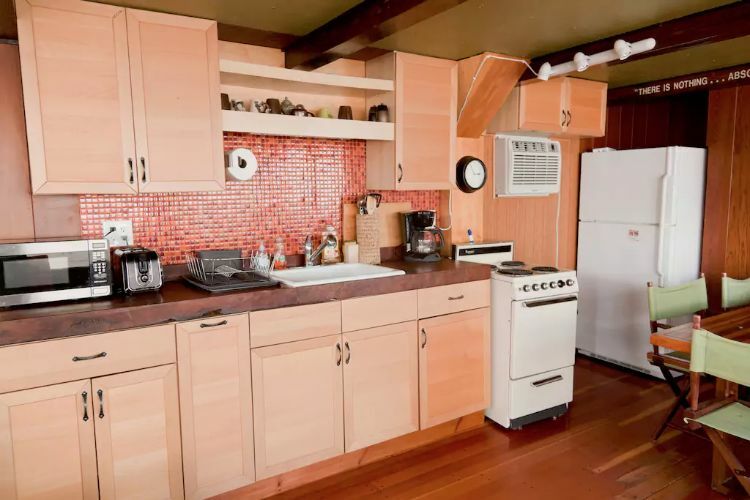 Notice the hand-built wooden cabinets and overhead lighting. The beautiful master bedroom features a hand-built wooden headboard lined with custom shelves, a king-sized bed, and stained glass windows. 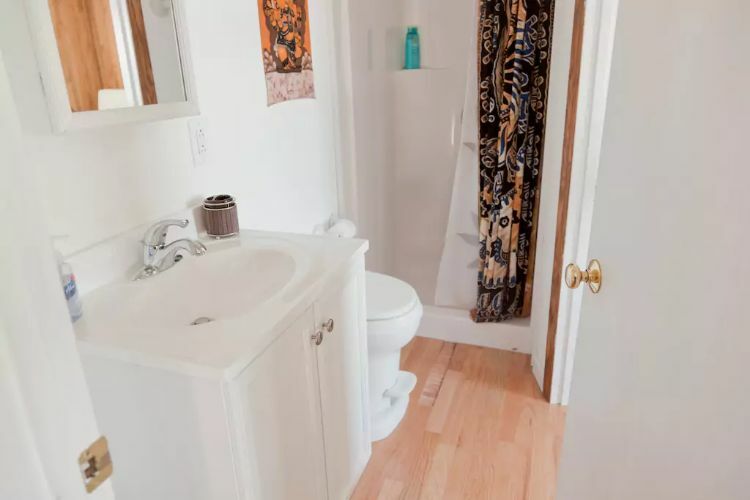 There is plenty of closet space, and the room has an adjacent bathroom. This sink is rather unique! 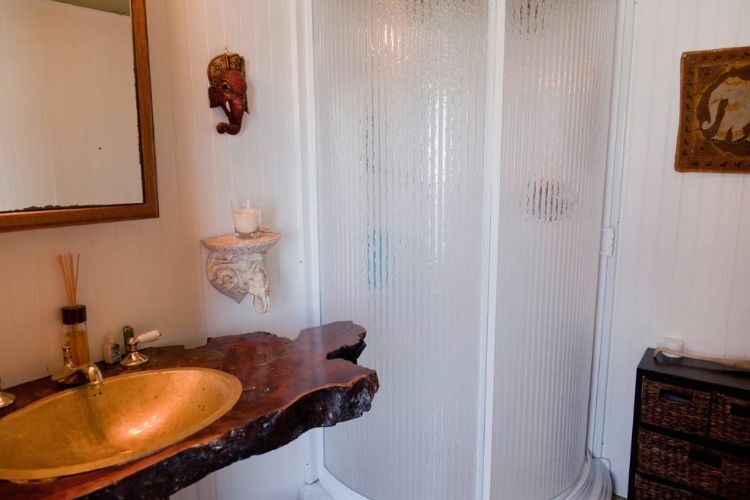 It's made from a piece of actual redwood with a brass basin. It's really a beautiful piece and adds something to the room. The bathroom also features a stand-up shower and toilet. 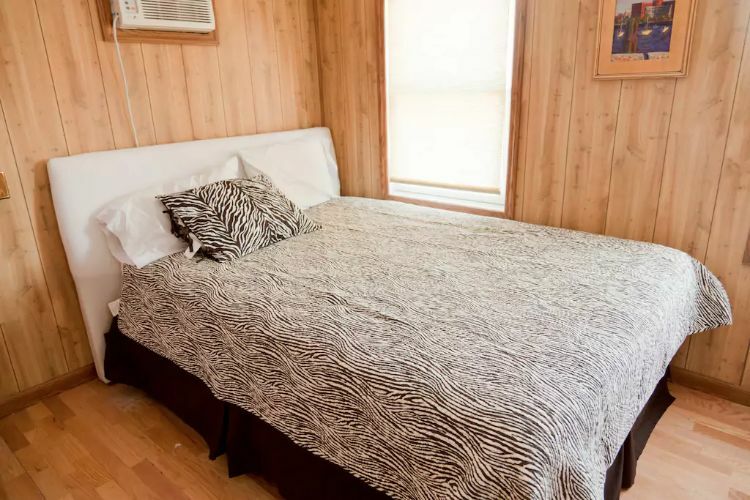 The second bedroom features a queen-sized bed. The wooden walls add almost a cabin feel to the room that feels so cozy! The third bedroom has a surprise in store! 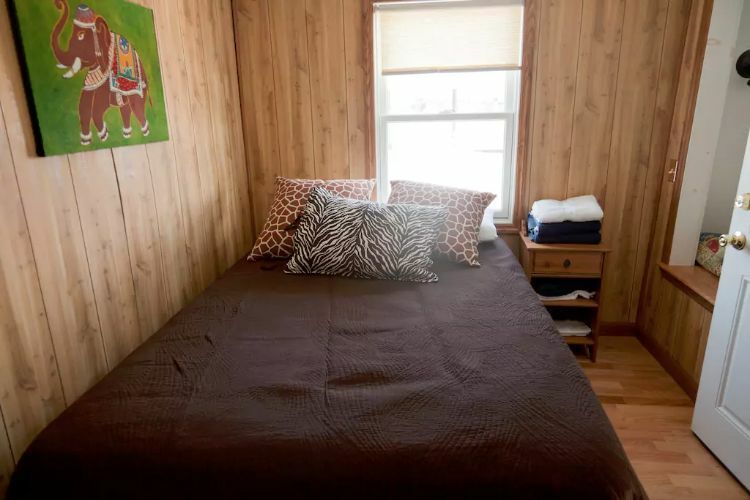 Not only is there a full-sized bed in the room, but there is also two cozy sleeping nooks that each contain a twin-sized bed! 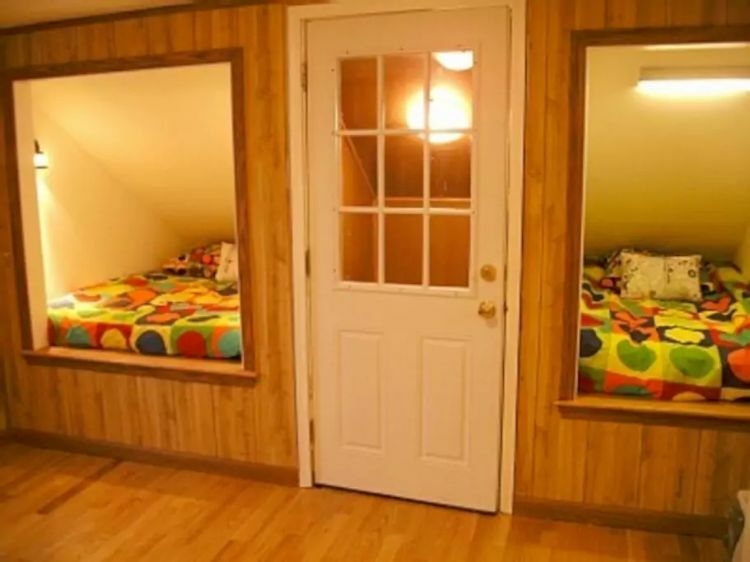 Wouldn't these be perfect spots for kids to sleep in? They would love it! 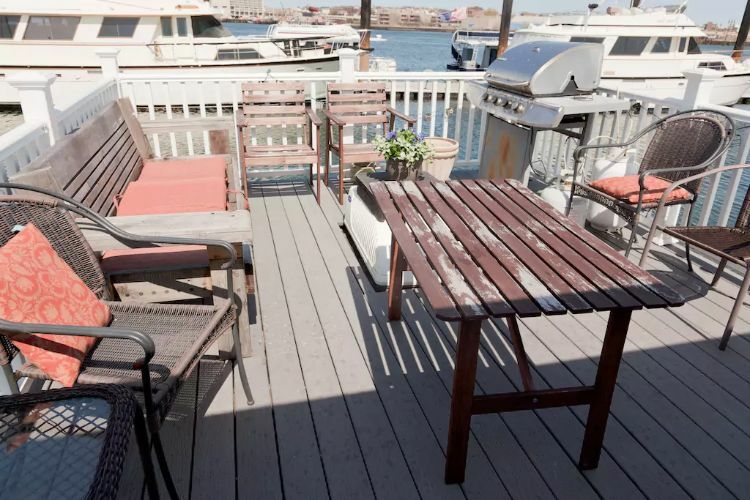 Once you return from sightseeing, enjoy the view of the marina and ocean from the deck.